Vehicle insurance has always been an issue for a typical common man in India. In our country, traffic rules are rarely followed, and driving tests do not really check a driver's skills. So, a brush here and there, dents and scratches, smashed bumper or wheel guard is a common sight. The insurance claims process that follows usually move along at snail's pace. In this age of smartphones and cheaper data rates, ICICI has come out with an innovative feature that can potentially reduce the hassle one has to go through after an accident. 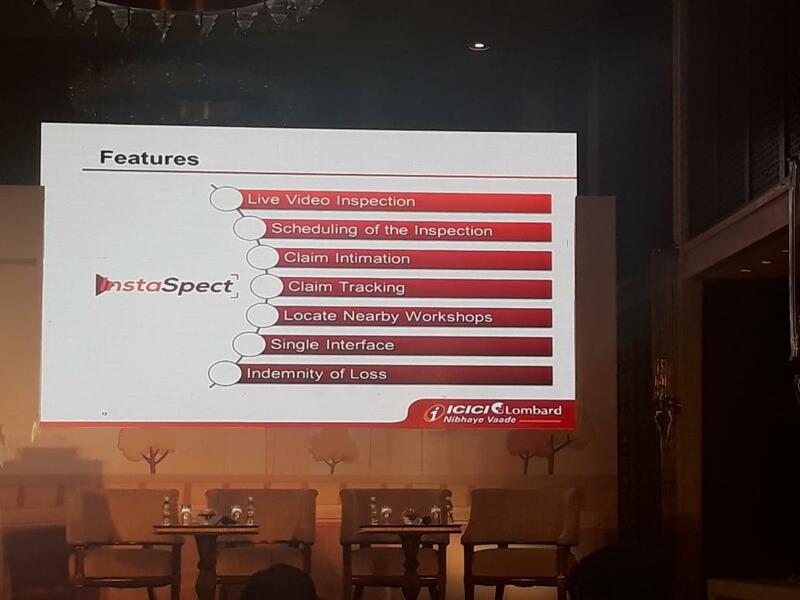 ICICI Lombard launched India's first live video inspection feature, called InstaSpect, on their Insure application. This unique feature allows customers to raise an instant claim via the Insure mobile application. 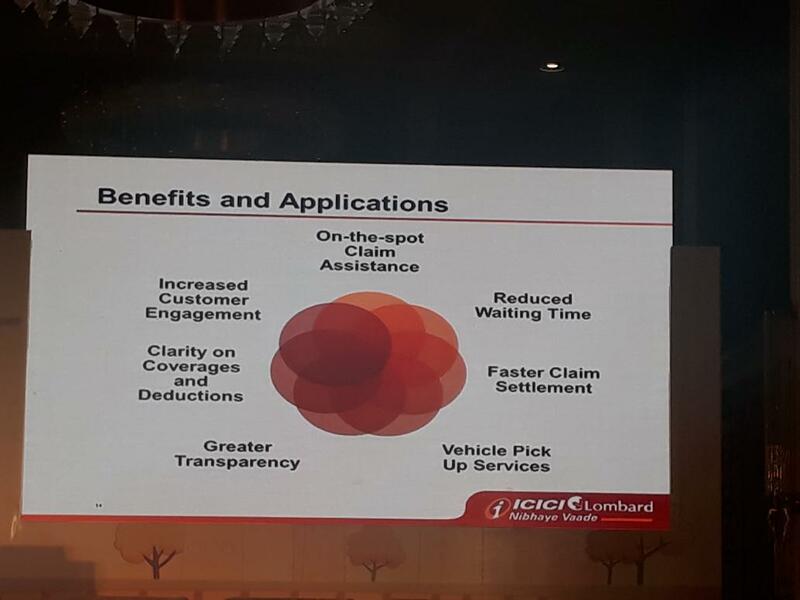 To avail this feature, the customer simply has to stream a live video via the app to an ICICI claims manager. The manager will assess the damage, and prepare a detailed list of the extent of liability, documentation and inform the customer about the same along with an intimation of further procedures. If the customer accepts this assessment, the claims manager will immediately approve the claim and initiate the repairs. The company, which has remained the largest private sector non-life insurance company in the country since the fiscal 2004 by GDPI, highlighted the fact that 92.2% of insurance claims were approved within 30 days, while the industry average is 81.9%. They undertook a survey to understand customers' views on this feature. According to the survey in which more than 810 vehicle users belonging to the age-group of 25-55, 94% of them liked the concept and conveyed that they were keen on such a development. While 34% of respondents appreciated the on-spot assistance for claims, 26% agreed that this will indeed reduce the survey time. 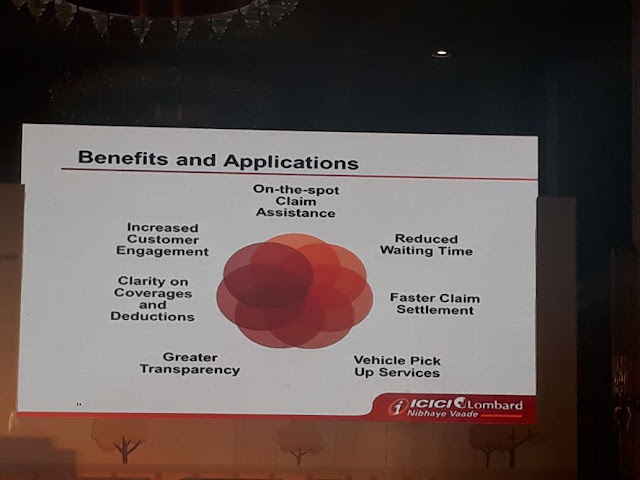 Speaking at the launch, Sanjeev Mantri, Executive Director, ICICI Lombard General Insurance said, "At ICICI Lombard, we have always strived to challenge the status quo and provide the best in class experience to our customers by using the latest technology solutions. Through this new age moto insurance claims feature 'InstaSpect' on our 'Insure' app, we have made the claim approval process far more efficient and hassle free for the benefit of our customers." The customer needs to open InstaSpect on the Insure mobile application (download links at the end of this article). Clicking on the InstaSpect option will connect the customer to the claims manager. The customer will be guided via the live video streaming, and the claims manager advises the customer to show the damaged portion and will also ask to upload the policy documents. The customer may be asked to show other parts of the car to ensure no other damage has taken place, along with documents such as driving license of the driver and RC details of the vehicle. The customer can confirm if he needs assistance or if he can drive the vehicle to the workshop. Depending on the nature of the damage, the manager will provide a rough estimate of the liability. Once approved, the details will be forwarded to the workshop by the time the damaged vehicle reaches there. This entire process will require only a few hours, which is very less compared to normal process. The procedure was demoed live on stage, and a few requirements were highlighted. The smartphone used should have at least 5 MP camera sensor, and enough battery backup to last at least up to 20 minutes. The policy documents should be present and shown to the manager via the video call. The app also allows the customers to schedule the video inspection. The company's officials confirmed that this service is available only for private vehicles as of now. Any damage which may cost more than Rs. 50,000 will be approved only after a physical inspection, in accordance with the existing regulatory guidelines. The service will be available on all working days from 9:30 AM to 6:30 PM.